January 1, 2019, marked Just One Cookbook’s 8 year blog anniversary. 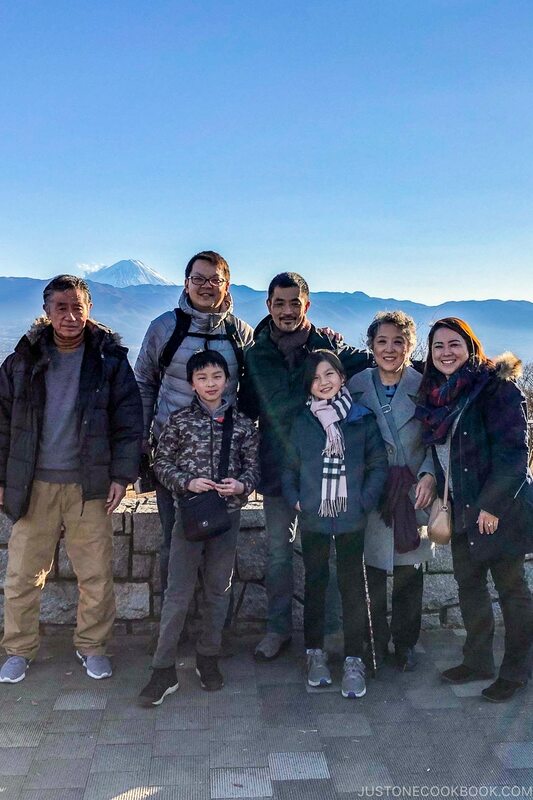 This year was especially special as my family and I got to spend Oshogatsu (Japanese New Year) with my parents and my brother who was visiting from Thailand where he lives. Celebrating the biggest holiday in Japan with my entire family was a dream of mine for a long time as we live far from each other. We traveled to Yamanashi Prefecture the day before (New Year’s Eve) and spent the next two days to celebrate the New Years, enjoying the big feast, soaking onsen (hot springs), and seeing beautiful snow-capped Mt. Fuji. It was truly a magical time, and I am fully recharged for what 2019 will bring to us! Every blog anniversary I celebrated with a giveaway, but this year, on top of the giveaway, I wanted to do something that would help my readers. For that, I created our first-ever reader survey so I can learn more about what YOU want to get from visiting Just One Cookbook. If you have two minutes to spare, would you please fill it out? Your answers will provide valuable information for us to figure out the future of Just One Cookbook. Click here to fill out the survey! I asked JOC friends on Instagram Stories what gift would make their day, and many responded. Thank you for answering them! Some of you wish for sleeping in, an engagement, a trip to Japan…Well, I probably can’t grant you these, but you have my best wishes! Some of you wish for Japanese sweets, Japanese ceramics, a knife from Japan, bento box, tea set, matcha, tempura pot, stationery, and more. We can definitely do a giveaway on these items when we spend the summer in Japan. Please stay tuned. Some wish to cook with me or meet me in person. I am flattered! I can definitely find a way to meet you in person. Ping me! Some of you mentioned JOC swag… Actually, we’re checking different brands to see their quality. When it’s all good, we will definitely do a giveaway and put on our shop! And some of you said Japanese ingredients. Make sure to subscribe to my weekly newsletter. From this month onwards, I will randomly pick one person every month from the email list and send a Japanese ingredient that the winner cannot get locally. Two (2) winners will be selected via Pick Giveaway Winner Plugin and contacted via email, so please include a valid email address in the email address entry box (please double check your spelling!). This giveaway contest closes on Thursday, January 31, at 12 p.m. PST and is open to everyone worldwide. Step 1 (Required): Subscribe to my Email Newsletter and leave a comment below on this post. Your email for the comment entry has to match with your email address in my mailing list. Step 2 (Optional): Please fill out our first-ever Reader Survey and leave a separate comment below on this post. 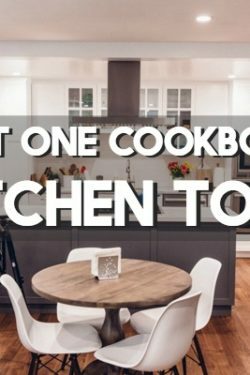 Just One Cookbook Kitchen Tour! I love your recipes! keep up good work! Your newsletter is always such a joy to read, and the recipes make my mouth water! always expect to see new recipes! I have tried a number of your recipes, and they are all terrific! Thank you! Happy 8th anniversary! You’ve come so far already! Happy birthday, JOC! You’ve given me so much inspiration and advice on my Japanese food cooking journey! I’ve always said I needed a Japanese cooking mom to show me how to do this stuff, and now I have one!! Thanks, and here’s to a great 2019! Wow! Happy 8th anniversary JOC! I definitely did not discover your blog until the recent years but I am so glad I did!! I refer to your blog for a lot of meals ! Just found you (subscribed of course) a few months ago and am still reading old blog posts. Thank you for so many great recipes and ideas. Looking forward to another 8 years! I love your recipes! Happy 8 year anniversary! Also filled out the survey, hope it helps! Thanks for this opportunity! Love your blog! Just filled out survey! Thanks! Happy new year! Love your blog. I love most of your recipes! Since all of my older family women have passed, you are my guide! JOC has helped me cook delicious Japanese food. It’s my go-to website! Thank you! Filled out your survey. I know just how important surveys and the data you can get from them is! Hoping you guys can use it to make JOC even better! Thank you for all your hard work I really appreciate it! Happy Eighth Birthday, Just One Cookbook! Thank you for your hard work, Nami. I was in Tokyo mid December, it was so cold but I fell in love. I wish I didnt have to come back to cali. I tried Okonomiyaki, and immediately came to your page to see if u had a recipe. I’ll be trying to make it within the next 2 wks. Fingers cross! I’m a terrible cook but great baker. Signed up to the newsletter & I always enjoy the recipes. Yours is my favorite food blog! Please keep posting easy instant pot recipes for Japanese dishes. I want to make chawabmushi but don’t have 5 ramekins. I wonder if I can make just one big bowl of it? I filled out your Reader Survey. Happy anniversary, Nami-san! Wishing you much continued success. I filled out the survey. Yay! Leaving a comment to let you know that I’m still subscribed to the newsletter. I am forever grateful for JOC. My kitchen and cooking has forever changed for cooking delicious Japanese meals the right way. Thank you, Nami! I have subscribed to the JOC email newsletter. I am subscribed to your newsletter. Thanks! I also filled out the reader survey. I have completed the JOC reader survey. Love your blog. Thr recipes are easy to follow and very good. I also did your survey. Thank you. I am a subscriber and I did the fun survey. I would like to see more desserts especially lower sugar options or sugar free. Happiest 8th Anniversary, JOC! Survey has been completed. Love your recipes but think you are too tuned into the internet response: i.e. using the giveaways to make people respond on various social media. It is a bit mercenary. Happy Birthday, Nami and JOC! Happy anniversary 🙂 I love how you make cooking Japanese so approachable. I have completed the reader survey. Did the survey. Enjoy the emails. Like your easy to follow cooking instructions. Love the email and website. . 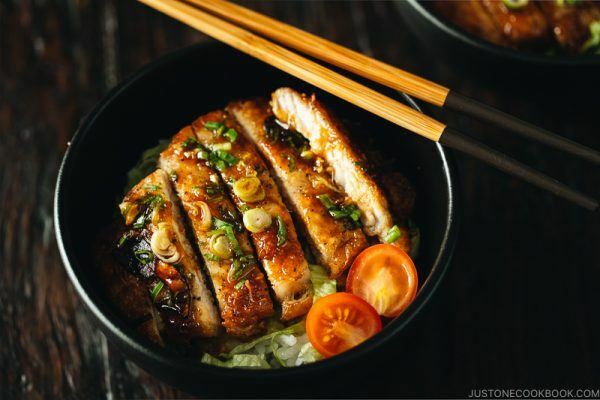 Your recipes for Japanese food are the best! I never have problems following them and they always turn out tasting just how I remember them from when I visit Japan. Thank you for your hard work and dedication and congrats on 8 years! I am already subscribed to the mailing list. Congrats! Love this blog, it has changed how I approach cooking! Love Asian food and especially Japanese. I’m also interested in the japanese culture and language. My dad is a chef and I like to cook different food every week so your cookbook has helped me a lot! Love from Finland. Hi Nami…I just love this blog…Thank you to you and your team over at JOC! I am subscribed to your newsletter and love it! Thanks for a great year and here’s to another great year. Happy New Year and a very happy blog anniversary! Thank you for the wonderful recipes and stories over the years, I can always count on you to make a yummy dish! I filled out your survey. I am the king of the subscribed. I have filled out the survey. Happy anniversary! Thank you very much for sharing your yummy recipes! Congrats on the anniversary!! Thanks for all that you do. Would to win the gift cards and thank you for this opportunity. Thank you for your emails and recipes. Just filled out the survey. Hope you get a lot of helpful feedback. Happy Anniversary, Nami-san! So thankful for all you do. Looking forward to a new year and even more recipies! I filled in the survey! Also happy anniversary! Filled out survey. Happy Anniversary. I always look forward to seeing the newest newsletter! I answered the survey! Looking forward to another year following JOC! I love your newsletter and keeping up with what you’re cooking! Hi Nami, I’m already an email subscriber & love your blog! Thank you for all your recipes. You are my go-to for recipes and it never fails me. I filled out your survey. Ingredient giveaways are exciting! 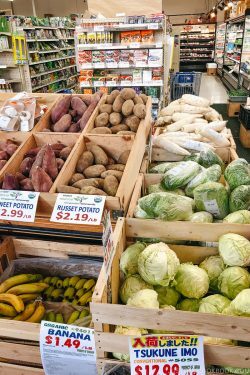 I used to live in a city with a large Asian grocery – now I live in the mountains and interesting food is harder to come by. Without a doubt the best food blog I follow, everything new I try from JOC inevitably ends up on permanent rotation in my kitchen! There is always something interesting in your posts – I’ve tried recipes, and seen things I’d like to try, see, and places to visit! Thank you for sharing your world with me. Happy Anniversary. I love you baked tonkatsu! My favorite article is the Japanese tableware, I found all of the items easily in my asian market! Hello from the uk 🙋 just caught your blog by chance one day and BAM i am hooked, your recipes are delicious and easy to follow so even I can enjoy Japanese cuisine at home with my family. Thank you so much JOC I’m looking forward to cooking with you again in 2019. I’ve been subscribed for a while now but I’m commenting anyway! This giveaway is so nice of you! I think your future ingredient is really interesting too! I’ve been a longtime reader, and have used so many of your recipes. Keep up the great work! Happy 8 year anniversary! I love your recipes and travel adventures! 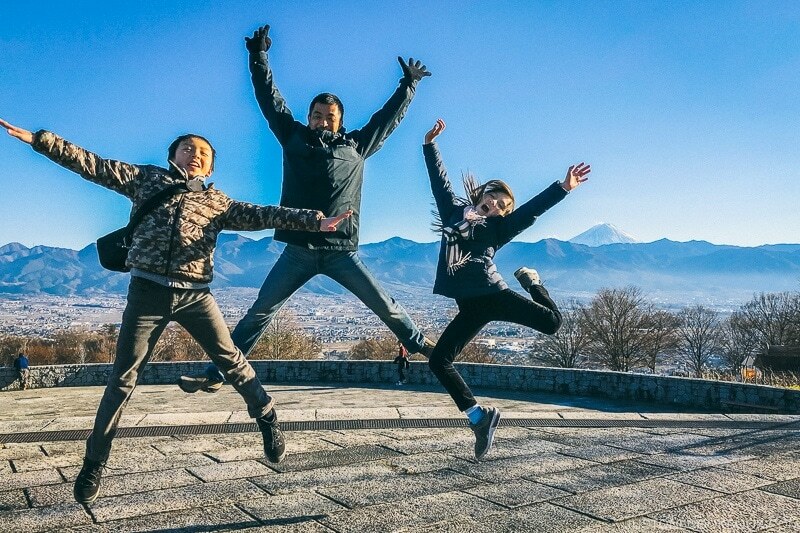 明けましておめでとうございます！Your photos are lovely and I’m so glad you could celebrate New Year’s with your family. ^^ Also, congratulations on 8 years of JOC! Completed the reader survey. Certainly appreciate your efforts and recipes! Congratulations on you 8th year anniversary! Cheers to many more 🥂. I am a 2-3 year subscriber now! I love getting your recipes to help me cook with Japanese ingredients while I’m in Japan. I’m looking forward to more great content! Happy New Year! Thank you for all the effort you place in your website! I’ve followed you for years and have noticed the improvements you have made. You show a concern for your readers and we have benefited from many of your “tips” . Best wishes for the coming year! I filled out the survey and mentioned that I loved your recipes and looking forward to more classic Japanese recipes in the coming year. Always enjoy opening up your emails. I look forward to seeing whatever your new and special recipe that you are sharing. Your videos are helpful since you are such a skilled cook! Looking forward to more in the coming years. Wow it’s already been 8 years… CONGRATS! Here’s to many more! Wonderful Japanese food blog. Enjoy it very much. Thanks! Happy anniversary!! I’m a fairly new subscriber and love the stories and recipes. Thank you! 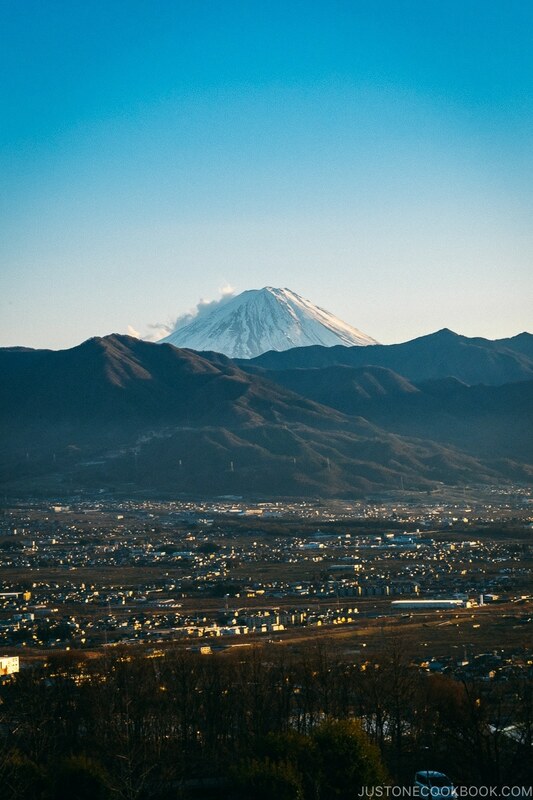 What town were you in, in Yamanashi? I worked in Kofu in the mid 1970s. Yay Nami! Eight years— congratulations! It is always so much fun to s read your recipes, watch the videos and hear all the latest. Keep up the good work. I already get your newsletter. It is very useful. Thank you. Thank you for your hard work. I enjoy reading all your emails and recipe updates. Also filled out the survey, congrats again! Great website and happy anniversary! Always looking forward to your recipes. p.s. I just completed your survey. Love you and your blog!!!! Super travel photos above! So glad you can create these adventures with your family. I filled out the survey quite happily. I think you do a super job. Thanks so much for your commitment to delighting your audience and broadening our understanding of Asian culture through food. Our taste buds thank you, too! I completed the survey. Thank you! I filled out your questionnaire. hi..im a sometimes cook. japanese cuisine is one of my favorite foods both at home and at restaurants. i was in Japan from 1952-55…flying back and forth to Korea as an air crew radio operator. I was amazed, as an American, at the Japanese food, custom, and wonderful presentation. i have bought many articles to prepare Japanese food, but havent made any until i found your cookbook. Im doing real simple recipes. and keeping track of what i would like to cook, but i dont have the confidence built up to try some of the recipes I would like to make! Thanks to you, i have, at least, the book I need to continue cooking. So thank you!! I’ve very much enjoyed your robust content and introductions to all the wonderful cookbooks you showcase! I’ve completed your survey from the newsletter link I received. Thank you so much for the great information that you provide! Happy anniversary! Keep up the great work! I love your recipes, have tried some, they were great! I subscribed to JOC newsletter. After several trips to Japan, I never thought that I would be able to recreate any of my favorite dishes from there. We had had some grilled mochi stuffed with bean paste that we loved. So, I googled mochi and azuki and found your site. My daughter and I now each have a mochi machine so we can treat ourselves whenever we need to. To top that, you have made my very very favorite dish chawanmushi so very easy to do with an Instant Pot. In fact, I bought one for her and for me for Christmas. Also, she needs the GF version and has been so sad not to be able to have this dish at our favorite restaurant, Momotaro, when I visit Chicago. We are both excited. Thanks! I’m already subscribed to your newsletter. Congrats on your 8th anniversary! I love being able to cook some of the Japaanese recipes and seeing the plqaces you visit while in Japan makes me remember my stay in Japan during my Junior year. The memories are good ones. My uncle had an inn and restaurant in Chigasaki- Kurrihara Inn. Following him around and watching the awesome dishes he cooked in such a relatively small and less than ideal kitchen was amazing. I learned a lot and have enjoyed cooking the Japanese foods my mother made. Holidays were always a special celebration and I have enjoyed following your special recipes. Filled the survey, happy anniversary! I can’t believe it’s been so long! I discovered your blog while doing a google search for sukiyaki recipes (my parents liked the dish, but I’m a vegetarian and didn’t know much about cooking it). I was so intrigued by the other recipes, I subscribed to the blog, and here we are, eight years later. Congratulations! I hope to see many more posts here, especially as I’m doing research for my own trip to Japan this coming fall. Happy anniversary. I use your recipes often. I have filled the survey. Your recipes are the best! I completed the survey. Thanks. I’d love to have access to more Japanese ingredients! Montana doesn’t have a lot. Just learned about the website from my mom. I will try some recipes this year. Thank you for doing this giveaway, and congratulations on 8 years! Would love to see more recipes using the Instant Pot. I have had a 6 qt for two years and decided to get a 3 qt recently because my original pot did not have the yogurt feature. I made my first batch of yogurt using 2% milk. In the future, I will try making natto. I loved seeing your pictures from Oshogatsu with your family! Thanks for all your amazing recipes, they always turn out amazing 🙂 excited for another great year! How time flies! 8 years and looking forward to more. Love your receipes and your travel stories! Happy 8th anniversary! Wish I had time to try all of the recipes! I look forward to learning a lot more from you about Japan and its food & life & culture. Thank you for sharing all your wonderful knowledge with us! My Japanese wife and I, who lived and worked, in the military, in Japan for 25 years, vrey much appreciate the authenticity of your recipes. We have numerous Japanese and Chinese cookbooks, but yours are wonderful and appreciated. Thank you. I am only an occasional chef but I love your posts and recipes. Just wish I could access all the ingredients. My husband and I enjoy your newsletters and recipes! In fact, some of our favourite dishes to eat and cook come from JOC! My personal favourite is Japanese Hambugu and Potato salad! So Yummy!!! Please keep inspiring! Really enjoy all your recipes and your fountain of information about Japanese ingredients and cooking techniques. 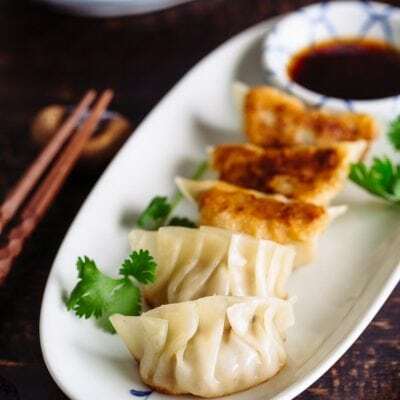 I love Japanese food and your website is the go to for recipes. Always enjoy your trips to Japan. Structure of a meal: E.G.dinner, appetizer? how many courses? If any? Breakfast one or two dishes? Lunch? During the day snacks & evening snacks, if any? The search system: Nice, but has built-in priorities, therefore, sometimes mislead the search. Not meant to be critical. Enjoy many of your recipes & your take on: “Midnight Diner” recipes. I subscribed to your blog long ago! It’s not quite 8 years, but at least 6+. I still visit for recipe help, and love reading about your travels. We’re in the planning stages for our 3rd trip to Japan in about a year from now. This time we are bringing my parents, and potentially a friend of theirs. It should be lots of fun. I filled in the survey as well. It occurs to me, it might be interesting to do more “As seen on TV/Netflix” series. I think Sweet Tooth Salaryman would be a lot of fun to try the desserts. 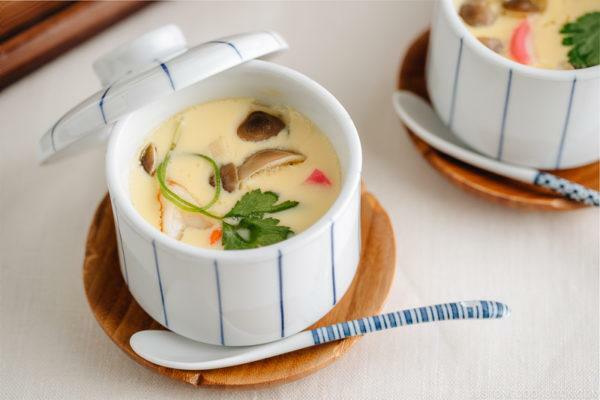 I enjoy your videos very much and I have tried many of your recipes like chawan mushi and grilled eggplant. Keep up the good work, JOC! I am subscribed to your emails. Option #2 Congrats on JOC’s 8th year anniversary! I’m looking forward to another year of recipes. I’ve learned so much already! Last week i tried the Castella cake recipe and all my friends loved it. I now understand why you make two each time. I halved the amount but next time I might as well make it four times because I don’t want the cake gone before I can taste any of it again. Over the 6 months, you have become essential to my family. Thanks to your receipes but picky eaters are now looking forward to the next receipe to try. I hope you have a wonderful Anniversary! Arigato! Happy 8th Anniversary! Looking forward to another year of great recipes! You have no idea how much I love chawanmushi! I’ve only found it once and now the restaurant is closed I can’t get it in my city :(. I’d be over the moon to meet you too. I’ve travelled all over the world and Japan is on my to do list still. I’m totally a foodie( I use to cook at two previous jobs) and will never stop travelling. At the moment I’m craving blue lagoons to swim in. I’m thinking Roratonga or Tahiti maybe. I love your recipes and use them all the time. I am a newsletter subcriber! I’m on your mailing list and love your blog! Completed your survey. I was going to write my favorite dish inspired by your website but I can’t choose! I do also appreciate your tips on how to prepare the ingredients the Japanese way (The Japanese cutting techniques). Kinen-bi omedetou! Love your recipes, great reference for all the wonderful dishes I enjoyed while living in Japan. Today, I made orange and cardamom chiffon-keeki, okagesama de, gochisou-sama deshita! I filled out the survey and can’t wait to read more of your blogs! Thank you so much for your constantly posts . It is lovely ! Love your newsletters and authentic, easy to follow recipes as always, Nami. Looking forward to more this year! Congratulations on your 8th anniversary! I wish you a happy and successful new year. Love your blog and cook your recipes at least 2-3 times a month. Looking forward to trying more recipes in 2019! Hi! I already am a subscriber to your email newsletter! I filled out the survey! Thank you! Just completed your reader’s survey. Happy anniversary! I hope you will teach how to make kurimanju. Already subscribed to the newsletter. Thanks for all the recipes and tips. Thank you for the delicious recipes. Happy anniversary!!! I love your recipes and your e-cookbook. It’s easy to understand and follow, and creates endless inspiration . Happy Anniversary. Many more delicious years to follow! When you have recipes in the instapot can you please have the same recipe in another form, either slow cooker or stove top/oven. Thank you for the go-to recipes that’s easy to follow and really yummy!! Fantatistic japanese cooking content!! Would like to continue to learn more from JOC! Happy 8-Year Anniversary! Thank you! Just filled out the survey – Thank you again! I filled out the survey too! i like so much of your recipes and i will relly appreciate if you make more desserts and traditional japanese dishes. thank you so much for the goods recipes. I’m already a subscriber to your email newsletter. Happy 8th Anniversary!!! Thank you so much for sharing your passion 🙂 I love learning to cook Japanese food from your blog! Here’s to many more great years! I’ve completed the survey. It was hard to pick just one response for some of the questions. Congrats on 8 years and here’s to another 8! Happy Anniversary. Congratulations! Your blog has been a reliable source for weekday dinners and cooking adventures. Your journey is a true inspiration. Thanks so much for everything you do, Nami. Your recipes are wonderful! Nami, many thanks for your excellent recipes! All of my friends have chats about your easy to make recipes. We have all tried your recipes much to our families’ delight. You are the BOMB. I filled out the survey! Congrats again! Hi JOC! I subscribe to JOC newsletter! Happy 8th Anniversary JOC ! I just did the survey ! Congratulations on hitting 8 years, Nami!! Your recipes and blog have become a regular part of my life, so thank you! I’m a proud newsletter subscriber! Thank-you for such great, easy to follow recipes. Happy new year! I am an email subscriber – thank you for the the generous giveaway! I have learned so much from JOC – thank you for expanding my kitchen! Thanks for sharing all the wonderful recipes and making it possible for us to cook authentic Japanese food at home! Multiple choices weren’t available in the survey, but I’d love to see more weekday meals and also pressure cooker Japanese recipes. Happy anniversary to JOC! Thank you for having so many tasty recipes and showing people how to bring a little bit of Japanese cuisine and culture into everyones lives. Happy 8th anniversary!!! Looks like a wonderful new year celebration with your family. I would really like to try celebrating new year in Japan in the future. I love meeting your extended family! I also love the different cities you tour and the travel hints. Thanks so much! Subscribed to the email already. Love your recipes! I just wish I could make more of them, but it’s so hard to find the ingredients where I live. Happy Anniversary! I love your recipes and travel blogs. I have been reading them to prepare for our upcoming trip to Japan. Happy 8 year anniversary JOC!!! 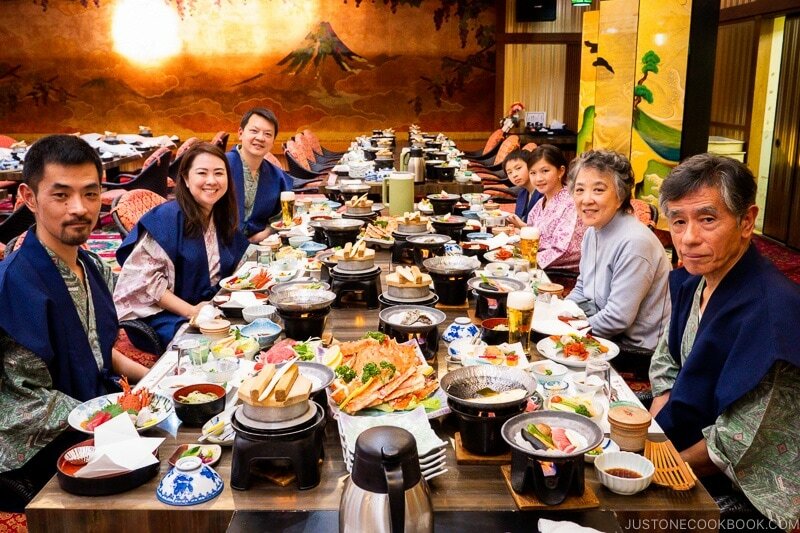 I am so thankful for your hard work…my whole family thanks you for making authentic Japanese meals accessible to the average home cook in America! Your recipes and videos are wonderful! I love your blog! I always go to it whenever I feel like making a Japanese meal for me and my husband 🙂 Congratulations on 8 years! I just submitted the survey as well! The japanese ingredient giveaway is a good idea because not everybody has a japanese grocery in their neighborhood. Best wishes for your 8th anniversary ! Been following this blog for a while now, love it and use the recipes regularly. Just filled out the survey, I hope to see more regional dishes this year! Congratulations on 8 years of JOC! Several of your recipes have become staples in our household. I enjoy your content and videos and hope to keep on learning from you for years to come. PS: Please come to New Zealand! I answered the survey that I received my e-mail. I would like to enter the contest. Happy New Year and Happy Aniversary! From Canada. I’m so grateful for finding your blog more than a year ago!! I didn’t subscribe to your newsletter then because I hate being swamped and then unsubscribe eventually. To simplify my life (in Konmari wisdom), I resolved 2 years ago that I will only subscribe if I find myself visiting a blogger throughout a year, which means that I find their content relevant to me. Not just did I visit your blog often, but I’ve printed recipes, watched your videos with my family, browsed through your site, and has seen changes to your site too. And on my visit today, I saw the chance to be rewarded for subscribing. I also decided to participate on your survey PRIOR to seeing this contest because I realized I’ve been searching for substitutes for ingredients I can’t find in our neighborhood grocery. I’ve learned to keep to the recipe to honor the country the dish came from and to understand why a special seasonal dish is special. But often I find those dishes too good to cook on a seasonal basis, so I end up surfing for substitutes – which is often a gamble. I hope my participation helps too. You’re my go-to blog for Japanese comfort food, home and culture. I’m a mixed-ethnicity-Asian expat here in the deep Southern US, wife and mom, and with the great beef brisket BBQs, we often need to be reminded of home. Thanks, congratulations and wishes to your team’s success! Thank you Nami for your fabulous blog. It’s been a few years since I discovered you; and your blog has changed the way I cook, and my kitchen store cupboards! Keep up the good work. it’s lovely to see how your website has grown. Happy 8th Anniversary JOC …. I love reading your newsletters and how your whole family is on this journey. Not to mention the recipes! I have made quite a few and I look back at continue to find more I wish to try! Thank you for your vision and your passion! I really enjoyed watching your videos and reading your blog posts. Hope you can continue sharing more of Japanese recipes with the world. Hi, I’m already signed up for your newsletter. Love your content. I would love to win so I can get the Kintsugi kit and try my hand at it. Thanks so much for your blogging….I’m learning so much about Japanese cuisine and I’m looking forward to trying more things. We’d like to eat more Japanese food during the week. So i’ll be attempting to try new recipes and get them to my family for healthier eating! cheers! Happy Anniversary JOC!!! I love your recipes and travel post. Nami – Congratulations on your 8th – no wonder your son and daughter seem so big ! Methinks I have been with you almost all that time and have enjoyed every click . . . somehow you seem part of ‘my family’ also and, if and when I do get to SF, I hope I may be on your doorstop . 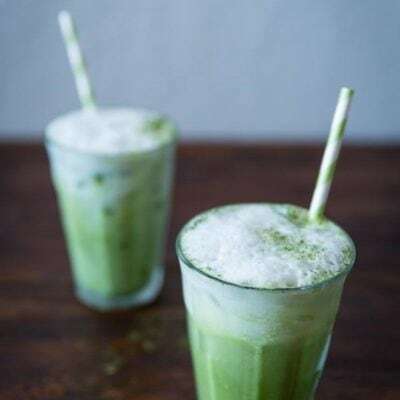 . .
love the recipes, want to try some of the matcha tea cake recipes. since I am not the primary cook I don’t have opportunity to try a lot, but I have on occasion worked one into the menu. When I don’t know what to cook, I can always count on your recipes! Thanks for making me look like a good cook. Looking forward to future world wide giveaways and trying the survey, great idea. I just love this channel, and feel very grateful that I came across it, wish that I would have found it sooner, I love Japanese cuisine, and was taught by my father how to cook many Japanese dishes, probably why I love to cook, I love to find just the right ingredients to make a dish that is my favorite or a new one that I think I will love. Thank you for creating this amazing channel and I look forward to many more recipes. One day I hope to be able to visit Japan. Happy New Year! Keep up the good work and look forward to new and exciting recipes this year! Happy New Year and Happy 8th Anniversary on your blog, Nami! What an accomplishment! I feel excited and happy for you. I’ve been following your blog and subscribed to your newsletter for a long time. Always enjoy getting your newsletter and love the knowledge, skills, and recipes that you share. I filled out your survey! I really appreciate your traditional recipes, which I never really learned from my mom. Thank you for making those childhood flavors available to me at home 🙂 I just subscribed to your newsletter! I am from Singapore and if you do not already know this Japanese food is very popular here. It is a blessing to be able to cook authentic Japanese food featured on your website. Keep the recipes and videos coming. I am ever grateful for your recipe instructions! Happy 8 year anniversary! Thank you for the recipes! My mother would prepare a lot of the Japanese dishes. The food brings back happy memories! Thank you! I hope to pass down the recipes to my children and continue traditions my mother passed down to me. Congratulations on your 8 year anniversary! Just filled out the survey! Thank you again , Nami, for asking us what we want with the survey. 😊 Thank you for always sharing your wonderful recipes and knowledge with us. Appreciate your giveaway too! Have been subscribed to your email newsletter for a while! Congrats JOC! Keep up the great work! I love your recipes! It brings me back to my childhood when my mom cooked Japanese food for us. Thank you! Survey complete <3 Thank you for the opportunity! Just took the survey. Hope it helps! Just did the survey. I hope it will be helpful! I’m new to Japanese cooking but I love eating Japanese, so I am happy to find your blog. I look forward to reading more! Thanks for hosting the giveaway! I would love to own your new cookbook. I love your newsletter and recipes. Thanks!! I appreciate you. Always glad to have your blog on hand if I like to cook something japanese. Thank you! Congratulations on your 8 Year Blog Anniversary. I always check your recipes!! 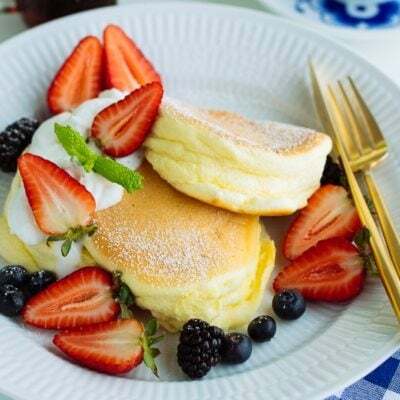 I enjoy reading your blog and learn how to cook Japanese cuisines and desserts. In fact, I make my hubby’s birthday cake today (earl grey chiffon cake) by following the recipe you share on one of your article. 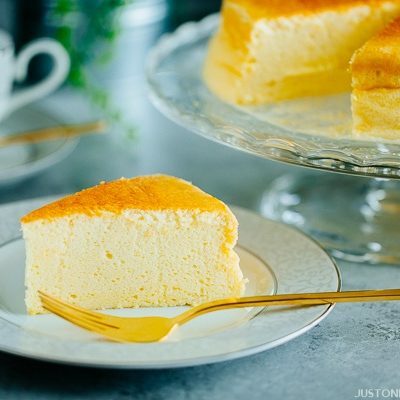 Searching for a Chiffon cake recipe is also why I come across your lovely and detailed blog. I hope to read more from you and learn more! completed the survey too. Happy Bloggy birthday!!!! Happy anniversary from France! Wish you the best! Have been reading your blog/watching your videos for years! After my first (and sadly only trip so far) to Japan in 2013, I wanted to learn how to recreate some dishes. When I discovered JOC through your book (got it at the airport when I was leaving Japan) I was hooked! From the first second on that you have introduced the clay pot rice cooker, I have been obsessed with getting my very own Kamado-San, so I would love to win to finally get my hands on one. Congratulations on your 8th years blog celebration. Glad that I am able to share your cooking journey with you. Looking foward to many delicious recipes from you. Just did the survey and looking forward to hear about the results! Got my fingers crossed for more vegetarian/vegan recipes. Although I do eat meat and fish, I like to alternate and love to discover great „clean“ recipes. Congratulations to your 8-years blog Anniversary! I’ve been following your blog for over two years! I love your recipes. Happy 8-year blog anniversary! love your recipes, easy and elegant, thank you. continue on, domo arigato! Already subbed to your newsletter! Just did your reader survey- big congratulations on 8 years! I made the new recipe for your cheesecake for my partners birthday and it was a hit! Thank you so much for your amazing page, Ive used it a lot since I found it after our trip to Japan! I love getting your news letter! I’ve filled in the survey; I hope it helps keep your blog around for a long time. Thanks. I have completed the survey, I’m looking forward to what to you come up with! Subscribed to your e-mail newsletter! Filled out the reader survey! This is my go-to place for any Japanese recipes. I made mapo tofu yesterday, and it turned out amazing! Happy anniversary Nami! Thank you for all of the effort you put in :))). I answered your survey. And also filled in the reader survey. Funnily enough I went to Japan in 2014 to visit a friend and travel a bit, and I had a great time. When I got back I wanted to make some of the great things I’d eaten and that’s when I discovered your blog. I have since made a lot of different things and enjoy reading and watching those I don’t try for one reason or another. Congratulations on the 8th JOC anniversary! I love all the recipes! I have all the recipes which I like printed in a way that have them always available. I just love cooking Japanese! I also did the survey. Happy New Year! Thanks for the giveaway! Happy 8th Birthday, keep those lovely recipes coming !! I’ve filled out the survey. Looking forward to your future posts! Hey what a fabulous idea for a giveaway! Happy New Year Nami (and family)! Thank you for bringing me closer to my heritage in the absence of my mom who passed away. Your blog allows me to learn all the recipes from my childhood that she made everyday. It brings back so many good memories. I’m so happy for you that you had a wonderful New Year with your family! Looking forward to this years recipes! Happy 8th Anniversary JOC! Thank you for showing us so many beautiful dishes as well as Japanese culture. I really enjoy reading your blog and happy to fill out the survey. Your recipes are simple and the results are yummylicious ! Thanks for sharing ! I am a long time subscriber. Love your recipes! Happy birthday. Love your work ! Happy birthday! Thanks for the great recipes—I subscribe to the newsletter and enjoy the new ideas that you send! Filled in the survey as well-look forward to new great ideas for making delicious meals! Hey JOC family! Happy New Year and anniversary! Make it a great one! Survey complete! Happy 8th anniversary! Your cookbook is like a Japanese food dictionary to me. Each time I miss Japanese food and want to cook something, I come here to check, even if I already know how to make it, as I this will make sure I do it the authentic way… And your recipes never failed me. A big Thank You and hope to meet you in person one day! Happy Birthday! Your recipes helped me big time during university and they are delicious to share with friends and family! I had subscribed to your email newsletter. Thank you for your content! Hi there! I love your blog! I filled out the survey. I enjoy all the posts so I don’t have any suggestions for changes. I love your blog and recipes. I’ve completed the survey. Happy Anniversary! Congratulations and all the best for the New Year 2019!! I’m already subscribed to the newsletter. Thank you as always for doing all of these things. Congrats on your 8 year blog anniversary! My family is also very spread out and we finally got to all be together after Christmas. Filled out the survey–looking forward to seeing new recipes! I enjoy your recipes, but mostly I like your “voice”. Your writing is personal and unique! Thank you. Happy birthday, good work and to the next 8 years!. Thanks for the easy recipes. I would like to try making tsukemono but I am limited by the ingredients available locally in New York city. Happy anniversary! Love all your recipes! Congratulations on 8 years! I love your blog soooo much – I hope it’s around forever! I love your site and cook a lot of the recipes from it. I live in the SF Bay Area, so I have access to a lot of the ingredients and kitchen tools. I was born in Osaka and I inherited my mother’s mochi machine. I make a lot of mochi during the New Year for friends and family. My wife likes it with kinako and sugar. I prefer soy sauce and nori. Very excited for the year to come and all the new recipes! Congratulations again Nami and JOC! Thank you for sharing your culture and talent with us, we’ll still be here for many more anniversaries, hugs! I enjoy your videos. Your instructions are clear and easy to follow. I can’t always easily find ingredients here in Maine but I improvise. I am glad to see you add other Asian dishes and want to see more of them, quick and easy yet tasty ones. Thanks! Happy Anniversary! Looking forward to more stories and recipes this year. Happy anniversary.I love your blog and recipes . I’m on the email list! Filled out the survey! Happy anniversary! Wow! Happy anniversary! I filled out the survey, from email link, then came and read the blog post. Yay, thanks for keeping up the good work! Oh, and I already subscribe to your newsletter, obviously! Took your survey, congrats on 8 years! I love Japanese hot springs! You have such a lovely family. I filled in your survey! It was easy to understand. Can’t wait to see what new dishes you will have in store for us. I love your idea of sending Japanese ingredients. I have been stocking my pantry with some, but I don’t have instincts for how to use them without a recipe yet. Learning! I enjoy your blog, all of it, not just the cooking. Happy 8th anniversary to JOC! The recipes are always an inspiration to cook! Congratulations on 8 wonderful years of blogging! 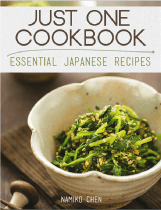 You and your husband have created a fantastic resource for Japanese cooking, culture and travel. Thank you for providing the “must read” blog for so many of us! Looking forward to seeing new posts every Friday. This is one of the bests blogs on Japanese cooking! Keep up the great work! Otsukare~! I subscribe to your email list. Many congratulations on the anniversary!! Happy 8th Anniversary! I love your site and this is my “go to” place to find traditional Japanese dishes! I have also learned from you of the differences of cooking the same dish from all the various regions of Japan (like ozoni, ramen etc). I also completed the survey. Happy Anniversary, JOC Team! Congratulations on your success. I am so glad I discovered your site and refer to it at least once a week! I’m so happy I found your website after first returning from Japan in 2013, it helped me keep the longing for Japan(or as we would call it in German “Fernweh”) at bay! Keep up the good work! Happy 8th Anniversary, JOC! Thank you for all of the wonderful recipes you provide. They are easy to follow and delicious! I just completed the survey too. Omedetou! I completed the survey! Congratulations JOC, Happy Birthday!🎉 We share the same birthday month! Thanks, Nami-chan for teaching me how to make recipes I should have learned from my mother when I was a little girl. I had the opportunity, but never paid much attention. Darn! Oh well, I’m glad I have you! Filled out your survey, hope it helps. Happy Anniversary! It’s been an adventure reading your blog on food and travel with great pictures and recipes. Just wonderful! Thank you for allowing the readers to complete a survey. Looking forward to a fun packed 2019 cooking and traveling through your blog! Happy anniversary!! Love your recipes! Namiko, your recipes are always solid and authentic. Whenever a friend asks for Japanese recipe suggestions, I always send them to JOC. Thank you for your commitment to spreading the word about Japanese cuisine. And thank you for the hard work that goes into all your recipes, travel articles, and videos. Happy Birthday, JOC! I’m still happily following your blog! Congratulations on the anniversary! I’m looking forward to what the future holds, and hope you get more great ideas from this survey! Congratulations on 8 years! I love your recipes and how easy they are to follow. Thank you! Thank you for publishing such great recipes! Happy Birthday JOC! I really enjoy this blog and the videos you share on YouTube. Thanks for sharing all these cool recipes! These recipes were great for osechi! I really enjoy your posts. Please continue doing the awesome job! I recently got an InstaPot after seeing all your recipes. I love azuki bean An and made that right away. I am in heaven! I’m new to your blog and signed up for your email subscription. I’ve taken a peek at your recipe index and can already tell I will enjoy receiving your updates. As I’ve gotten older my palate has changed and I’m always in search of new ingredients to tantalize my taste buds. I enjoy learning from you. I completed the reader survey. Happy 8th anniversary! And thank you for the hard work! Happy new year! I’m already an email subscriber, and love all your recipes! Happy Blogiversary! This is my first time commenting, but I’ve tried so many of your recipes, and every single one has been wonderful. I made your Instant Pot nishime for New Years, and I was amazed by how quickly it all came together! Love your website. I look at it frequently to find Japanese recipes that my husband and kids would enjoy. Thank you for all of your effort! I just filled out your survey. Thanks for all the wonderful recipes and travel guides! I’m already subscribed to your newsletter and I filled out the survey AND I found you on Instagram! Congrats on the 8 years! I recently found your blog and have been making your recipes! Love them so much! Did the survey. Hopefully its usefull. Cant wait for more healthier recipe. Subsribed to your newsletter. Would not want to miss new recipe from you! I filled out the survey. It took under a minute and was so easy. Thank you for taking the time to see what your readers would like to see most! Happy anniversary JOC! I’m subbed to the newsletter! I have done the survey too! Thanks for asking for feedback! I can’t wait to see what new things happen with the website! Congratulations… you’ve come thus far…. keep going.. 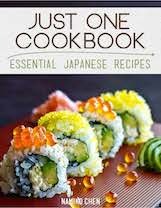 Happy Birthday Just One Cookbook! Getting that email notifying me of such a great landmark was so exciting! Is it weird that I was excited to fill out the survey haha!? It feels like I’m contributing to the legacy of this wonderful blog without doing anything! Happy Birthday, JOC! I’ve been following for a very long time and believe since 2011. Here’s to many more years! I completed the survey. Hope it helps! I love your recipes – they are always good to follow and tasty. Thank you. Keep up the good work! Hopefully, there will be many many more years of JOC! Congratulations! If I ever need to look for Japanese recipe, your blog is the way to go. Keep up the good work, nice photography and details. Happy 8th anniversary! Your recipes are part of our lives from our email subscription from way back when! Keep up the good work! Have completed the survey too! All the best! My favorite food blog! Love the recipes and the videos! Filled out the survey. I have been reading your blog for years and finally signed up for the newsletter late last year. So glad I did! Your recipes are part of our daily life. Thanks so much for helping us! I am subscribed to JOCNewsletter and look forward to each one. Also filled out the survey! Happy new year and happy blogiversary! Just submitted your questionnaire . Thank to your videos I learnt how to make home-made teriyaki sauce, gyozas and okinawa soba! i’m excited for you to be celebrating your 8th anniversary! How exciting! Ever since I’ve been reading your blogs/ trying to make Japanese food from your recipes, it has been a dream of mine to travel to Japan. 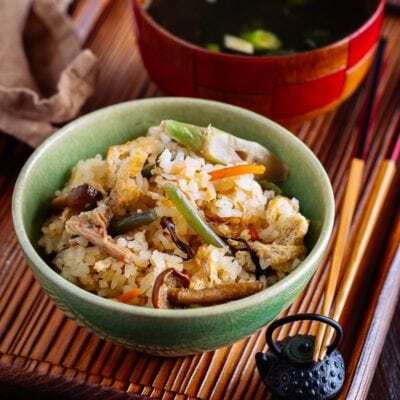 It makes me excited to think about your home recipes can ignite a desire to learn more about Japanese culture and food! Although I think the Japan trip will have to wait for me, until then I will continue to try out your recipes. Thank you for posting wonderful recipes! Just completed the survey! Thank you for being willing enough to hear reader feedback! That takes a lot of commitment. Your posts really show how much effort you put into them, and I really appreciate it. Thank you again. Congratulations! 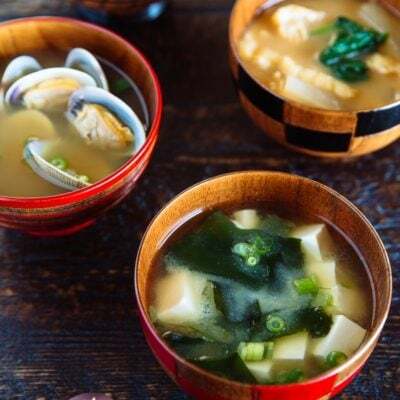 You are my “go to” for any Japanese recipe I need and am always completely satisfied and pleased with my results when using your easy to follow directions! Thank you so much. I’m very grateful for all the recipes you’ve posted on here! I’ve always had a huge love for Japanese culture and food, so this website has been wonderful!! Love your website and newsletter. I found it by accident when I looked for Japanese recipes. The kids love Japan, the culture and food. 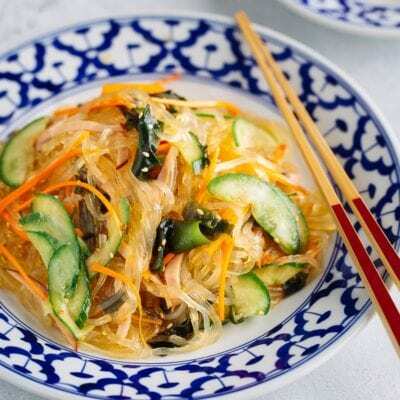 Your cold noodles dish was a big hit with the family. Your curry recipes are also popular with my wife and kids. I would love to see more historical information related to each dish so I can use it as conversational topics during dinner. Thank you again. Congratulations and happy anniversary! Will keep on supporting your blog and channels! I completed the survey! Wish I could have picked multiple options for some questions! Happy anniversary! I love you recipes!! Happy to read and love your recipes and trips! Happy Anniversary and here’s to many many more, woohoo!! Already subscribed, thanks so much. Survey completed, thanks so much. Happy birthday! Always glad to read recipes ans tips! completed the survey – it’s awesome that you try to tailor your posts to your readers’ needs. just one thing, i kinda wished we could pick a couple options rather than just one 🙂 it was hard to pick only one. Congrats on the 8 years and thank your for the newsletter too ! Hi~! Happy 8th anniversary, JOC! Thank you for all the amazing recipes so far. Happy anniversary!!! We love your recipes!!! Happy anniversary! Love your recipes! I subscribe to your email newsletter. Happy blogiversary! I filled out the reader survey. Happy blogiversary! Happy anniversary! I discovered your blog a few months ago, honestly I wished I’d found it sooner, your recipes have been so helpful and your newsletter is lovely. Already subscribed to the newsletter. Congrats on 8 years! Looking forward to future recipes. Filled out the survey! Fingers crossed for the giveaway! I love your site! I read all your new posts even though I can’t get most of the ingredients. There aren’t many Asian grocery markets in Central Oregon. But whenever I do get my hands on what I need, JOC is the only place I need to go for some great food and easy to follow recipes! Completed the survey. Happy anniversary! Thank you for your blog. I enjoy reading the recipes and travel/cultural posts. I have submitted my survey information. Looking forward to new posts in 2019! I love your recipes and videos, it’s easy to follow and always delicious! Congratulations on your anniversary and continued success! Love the blog! Completed your survey and enjoy your newsletter! Survey done! Thanks for taking the time to find out what your readers like to see on your website. I’m already sub-ed to your news letter! I have been following you for a number of years now and when we went to Japan last year followed some one your recommendations, thank you! Thank you Nami and also your team! I have enjoyed your newsletters, your trips and your fun spirit! Survey Complete! Looking forward to year 9! A late Happy New Year – thank you for posting great recipies! I love getting your email in the morning and saving your recipes to my recipe inspiration boards. Survey filled out. Excellent questions, I can’t wait for more Japanese recipes that I can make on a weeknight. Yum! I also filled out the survey! Love your recipes! Thank you! Also filled out the survey. Thank you! I’m already a subscriber! Fingers crossed! Happy 8-year anniversary JOC! Thank you so much for sharing so many wonderful recipes with us. P.S. I have filled out the survey. Thank you again! Congratulations on 8 years and happy new year! Wonderful website. Brings me back to days visiting Fukushima. If I win the gift card, I’m going to finish up my Japanese cooking utensils for my kitchen. Thank you always for the giveaways and also all the recipes you have on your site. Also, posts about what to have in a kitchen for Japanese recipes are really nice too! I forgot to put in the survey about what topics you would also can write about, which is accomodation in Japan, where to book and where you think would be reasonable price. Finding Japanese recipes has been so easy since I started following you. You have become like a bible to me. And your videos are really helpful. I have become an Instant Pot fan and love how you make it so simple to use. Thank you thank you!! Happy 8th Anniversary! So glad I found your blog (and newsletter) it is the only one I follow religiously. Thank you for the recipes, cooking tips and travel notes. Happy anniversary and thank you for all your wonderful recipes! Hooray! 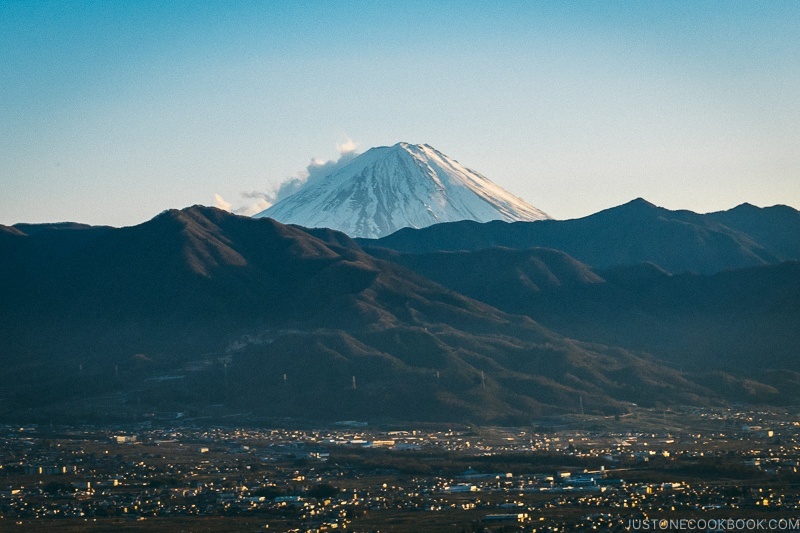 I’m loving your blog, especially as I start seriously planning our Japan trip for next year. Filled out the survey form! Thank you so much for running the blog and welcoming our feedback. 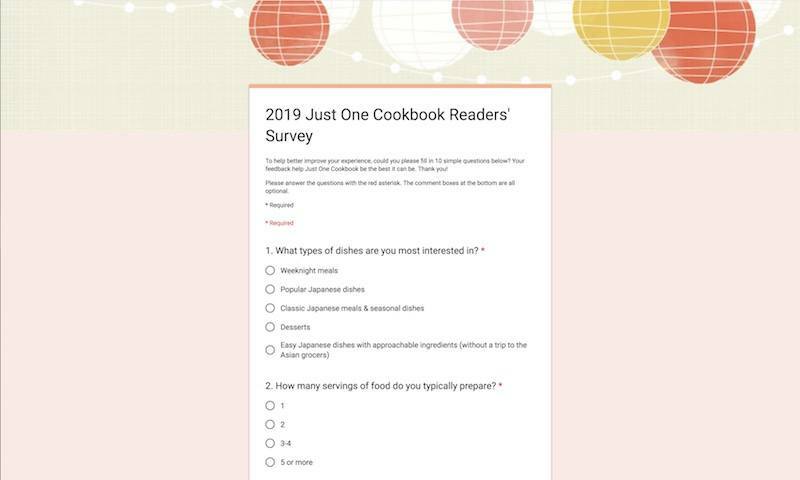 One more thing I thought of for question 10 in the reader survey: it might be interesting to interview / visit with other Japanese / Japanese Americans to look at variations and other cooking ideas. Might be interesting for you as well. Thank you! We just made miso yaki onigiri and inari sushi last night- looking forward to more! I am subscribed to your email newsletter! I love it and have since I found JustOneCookbook! I’ve tried talking with you before but sometimes I just feel like a bother, which I sincerely apologize for. You seem like a wonderful person! I just filled out the reader survey. Just filled out the survey! I’m glad that I waited on it for a bit because I thought for a bit about the questions and something actually came up for the suggestions in the end. I have completed the survey and already subscribed. Love your site, it’s the best Japanese cooking site, keep up the good work. Congratulations !!! Love your recipes !!! Happy Birthday JOC! I can’t believe it’s been 6 years since I found you, and you’ve helped me discovered so many Japanese recipes. Thank you so much! Already subscribed to your email newsletters! Filled out your survey too! Thanks for 8 years of wonderful content! I’ve filled out the survey as well. Happy New Year!!!! Looking forward to more Japanese recipes. I really like the ones with the Instant Pot for my weeknight meals. My family enjoys the meals!!! I’ve recently discovered your blog and I’ve had such success with the recipes! Thank you. Also filled out the survey. Look forward to more tasty recipes! Congrats on your 8th anniversary of this awesome blog!! Keep the yummy recipes coming! I love your recipies, keep going! I’ve been following for a couple years now and its great to see how much content you have added to your site. Been a fan and using your recipes on a weekly basis! Happy Anniversary! Love your recipes and so do my friends who get to eat the results! I’m going to Japan this year so would love it if you could give me a list of ingredients I should get and can survive the trip back to the UK. Love your recipes and how you make them. Thanks. Entered & signed up for the email sub! I’m very excited to dig into your recipes index and start learning how to cook Japanese at home! I’ve been a reader of your blog for nearly as long as it’s been up. It’s always been my go-to for delicious Japanese recipes and they never disappoint! Happy Anniversary and here’s to many more! Just filled out your survey. Thanks for all of your hard work in making this blog even more spectacular! I’ve just answered your survey! The fact that you made it shows us readers and watchers you really care about us, so thanks for that! I just filled out the survey — thanks for the chance to give input and for all the love and energy you pour into your work! Love to browse your website. Hello Nami! Thank you for your work. The site is amazing and the recipes are really good! Even though my father is a nissei and likes cooking, I’m always learning new recipes and techniques here. Cooking is my main interest but I always end up reading some posts about the culture and specially about your trips to Japan. Hope I can go visit the country of my ancestors some day. Hello! I would like to say that I really enjoy your newsletter and recipe ideas! I have started cooking a lot more last year and a friend mentioned your website with cooking videos and all and have continued coming to you for ideas : ) thank you! We received our first Donabe bowl 2 years ago and now have 4! we love it! We actually managed to pay a visit to Iga Mono and was breathtaking – going back in time. Wishing you continual success with enjoying what you love to do and learning from you. Happy anniversary! To another year of food! I am already subscribed to your newsletter! I enjoy reading it very much! I have also filled out the reader survey. You have really great travel photos. What kind of camera do you use while traveling? Ah, I’ve been using this website for a very long time to cook with the family! Thank you for your lovely recipes! As a Japanese-American I truly appreciate your recipes, travel news, and cultural explanations. I especially like your use of slow cookers and instant pot for the recipes! Thank you for all the wonderful ideas you bring to making Japanese cooking adaptable for American families. Thank you for your wonderful japanese recipes ! I moved to Japan for my studies 5 months ago and this website has really helped me discover japanese ingredients and how to cook them. Kitsune udon with homemade inariage is the best ! I am a subscriber. Happy 8 Year Anniversary! I read your blog everytime you send or post one. Thank you for all your hard work. Completed the survey. I’m looking forward to what you post this year! I’m planning a trip to Japan and your travel blogs are one of the first places I went for things to see and do. I have been a subscriber to your newsletter for quite some time now and enjoy it very much!! I have filled out the survey, I can’t wait for you to share more wonderful recipes with us. My daughter has opened her mind up to new dishes because of a few recipes we’ve made together from you. Congrats! Really enjoy your blog and recipes. Just filled out the survey! Looking forward to another grand year. It’s the little techniques and use of Japanese kitchen tools that is really cool….. Like a new nigiri knife!??? Just fill out the survey! I am such a big fan. Congratulations on 8 years! Looking forward to many years of posts to come. Survey completed. Can’t wait to see what this year brings for the website! Love your site very much! It is great to learn of food not served in restaurants. I love your recipes, and check back regularly for inspiration when I cook! Happy Anniversary, please keep doing what you’re doing and sharing your talent with the rest of the world!!! I always wait for your next trip as well your recipes. I already join your newsletter since my friends told me about your detail recipes. its very interesting blog. i already fill your survey..
i hope you keep improving..
Love all the culture topics! The recipes are amazing, I’d be lost without this blog! Happy anniversary, and thanks for all the wonderful recipes! Hello! I am so happy to have found your site! I am looking for inspiration for Japanese lifestyle and cooking techniques to help my family be healthier and happier this year. It’s my resolution ❤️👍🏻 I just subscribed to your newsletter and look forward to cooking along with you. Happy New Year! Thank you for your contribution to the world! Happy birthday! I’ve just completed your survey and hope the feedback will be useful for your team. Thanks! I love your blog! I’ve been following it for 2 years, and everyone in my family loves the recipes I use from here. Keep up the good work, and happy anniversary! You’ve become my go-to source for authentic Japanese dishes. Looking forward to what you have planned in the new year! I just subscribed to your email newsletter! I am Taiwanese American and my husband is Japanese American, and I have been visiting your blog for the past few years to learn how to make different Japanese dishes. Your recipes are all consistently so good! My husband and kids always love what I make from your website. I’ve learned so much and truly enjoy your blog! Thank you and congratulations on your 8 year blog anniversary, Nami! All your recipes are full of love. Thanks for sharing! I love your recipes and travel guides!! Love your website and blog. I watch your videos endlessly!!! You are truly inspiring and my go-to blog for Japanese recipes! Thanks for all your hard work! My husband and i make your beef curry recipe a couple of times a year and i love your oden recipe as well. 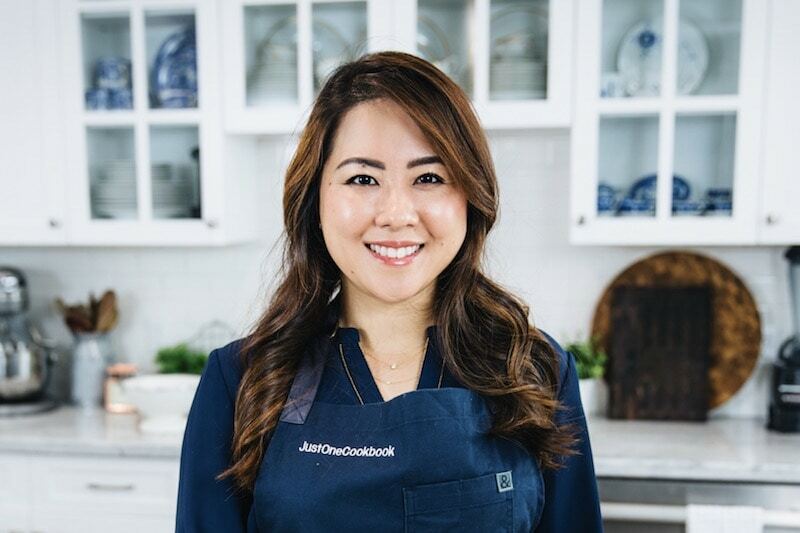 Love JOC — my favorite recipes are the Castella cake and Mille-Feuille Nabe! Happy Anniversary and thank you for all of the incredible recipes and information you give! Your recipes are very original and fresh. I subscribe to your e-mail list. I love getting your e-mails with recipes! Have enjoyed your recipes … our first ever was takoyaki! We used our takoyaki pan for the first time since we received it nearly 10(!) years ago. Thank you for removing all fear of failure. 🙂 They weren’t perfect in shape, but my family enjoyed them and they were delicious! I filled out your reader survey! I love every recipe I’ve tried from your website! JOC is my favorite Japanese cooking website! Thank you for all your hard work these past 8 years! You are a wealth of information! Happy 2019 and wow congratulations on 8 years of JOC! Keep the yummy recipes coming! Thank you so much for this wonderful blog – its inspired me to cook more and to make use of my instapot. I grew up with Japanese parents and my mother can cook anything but never had the patience to explain how to make things – thanks to you I’ve been able to make many dishes that I had been intimidated by in the past! Thanks again. Finally I can attend your giveaway.. 🙂 Your website is super helpful for me to cook Japanese food. Congrats for this web anniversary.. Keep inspiring for our cooking skills.. Luvluv..
First time commenting, but I’d just like to say how thankful I am for all your hard work on this blog. The recepies are always of great quality, both tastewise and how precisely they are written step-by-step. My 2018 New Years resolution is to cook more delicious food and boost my cooking knowledge! Congratulations! I’ve learned so much about Japanese cooking. おめでとうございます。Since my grandma and mom have passed, your blogs and recipes have helped so much。(^O^) Thank you and keep up the great work. Congratulations! Keep it up, I love JOC! Happy 8 years and looking forward to more recipes and content from your site! Congrats on the anniversary! I’m relatively new to the blog and am happily working my way through the archives! Filled out the reader survey. Favorite recipe find of 2018. Happy birthday!! I love, love, love your redesigned website. It is so beautiful and easy to use. Your photos are all beautiful as always. I enjoy the recipes you post, but I really love your travel blogs from Japan. I read them to keep up with what’s new and what’s popular in Japan right now. They are so innovative when it comes to foodie stuff. Happy eighth anniversary! I’m looking forwards to your new blog posts in 2019! Happy 8th anniversary! My Japanese hubby always say that your recipes do taste like his moms cooking, bringing the taste of home abroad. Thank you! Happy Anniversary! Thanks for improving our lives! Love your website and social channels! Always looking for real Japanese recipes and your recipes are always delicious! Subscribed to your emails and can’t wait to try some recipes! Especially the chankonabe! Mmmm! I am excited to be here! Cooking makes me happy and helps me relieve stress. I love learning new thing and recipes! Thank you for a great such a great site! Thank you Nami-san, you are my go-to Japanese chef for nice and easy to make Japanese dishes for at least a couple years now (if not more!) I wish you also the best of luck for this year. easy way to cook 日本料理, love it! Happy 8th Anniversary! I’m relatively new here to JOC, but I’ve loved all the dessert recipes that I’ve tried so far from JOC. They all turn out tasty! I wish you a happy new year and may you continue to have a successful journey ahead Nami san! I certainly relate with you about the dream to have a complete family dinner together. I think the last for my family, parents and brother’s family together might have been about 13 years ago. I hope to realize this dream sometime, just like you. Happy New Year and all the best to you and your family. I’m fairly new to your website but have been back again and again. I really enjoyed the simple recipes you shared and the important tips about each recipe. My family is really enjoying my cooking, thanks to you!! I’ve just filled out the survey and joined your email list. This is my first time trying out the giveaway. I’m crossing my fingers. Thanks for all you do and happy 8th anniversary JOC! 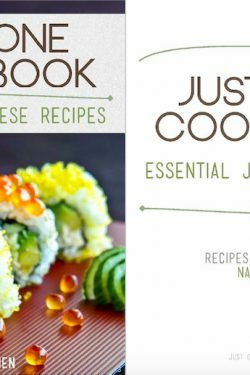 Happy birthday just one cookbook! Love your recipes, they always turn out so well! I’m already suscribed to your newsletter, but if I were not, I wouls subscribe straight awat! Keep on with your wonderful job. It’s a joy to have a view on Japan, even leaving so far away (Italy). I LOVE your newsletter! I’m thankful for your site and everything you share. Thank you for teaching me how to cook Japanese food! I love it! It’s a great way to experience things. I’m glad to be a subscriber! Happy Birthday, JOC! Thank you for keeping this going! oh and I wanted to enter! I really like that you have international giveaways! Congratulations on reaching 8 years, Nami and the JOC team! I have been following your website/blog for many years now, and everybody says I’m a good cook when actually I’m just following your recipes the whole time! Thank you so much for all your hard work and here’s to many more successful and happy years to come. I just filled out the survey! Happy 8th anniversary!Enjoy your posts. Hope the survey helped! Looking forward to some instant pot recipes! Akemashite Omedetoo to you and your loved ones!!! Thank you very much for your continued great work. Will be looking forward to your wonderful recipes this year also. Happy 8th anniversary, I love your recipes! I just filled out the survey, I’m excited to see what recipes the new year will bring! Thank you for sharing your recipes!! Happy birthday JOC! Survey filled out. Thank you! I’m so glad I found your website & you tube site. The recipes are easy to follow & I enjoy your “non-recipe” posts. I’ve been looking for many of the recipes for a long time. I am really happy that you’re recipes are the same or are close enough to the ones I grew up with. Please keep up with your great site. I have enjoyed making many recipes from your website for my family. Thank you and Happy New Year from Canada. Hi! Congrats on eight years and thanks for doing this! Love your blog! I enjoy exploring different cuisines and your recipes have the added fun of reminding me of the time I spent in Japan. The recipes I’ve tried so far have been great! I have a lot on my to-do list, too. Thanks to your recipes, I’ve been exposed to so many new flavors and foods. And I’m always making ramen eggs since we go through them so fast and they are so simple to make. 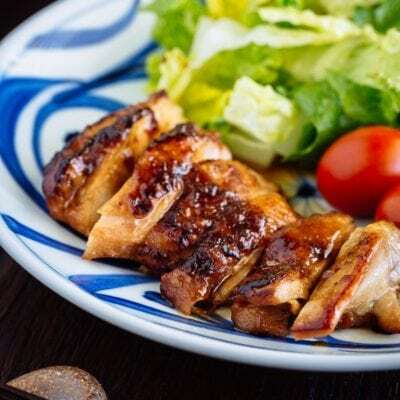 I start cooking Japanese food from your recipes! From then till now, you teach me how to cook!!! I’m excited for the new fun recipes to try out at home. Happy anniversary JOC! Love your blog and love your recipes! Congratulation on 8 years of success! I have loved your recipes and blog posts over the years. Very easy to follow and seasonings and ratios are perfect! Thank you so much for all the love and effort you put into each post. I’ve just completed your survey. Thank you for your continuing efforts to make your blog even better! Congratulations and happy anniversary to your blog. I just recently found your website and bought your cookbook but I love how simple it is to follow your recipes. Keep up the hard work! Cheers! I love your recipes and step-by-step explanations! My skills in cooking Japanese food have improved tremendously and I can’t be happier to enjoy my favorite cuisine and teach my kids about it! Keep bringing more delicious recipes to our table! Thank you! I’m already subscribed! And I filled out your survey. 😊 Thank you! I’m subscribed to your email newsletter. There’s always so much delicious inside! I filled out the survey. It was quick and easy! Hi Nami : ) Congratulations on JOC’s 8th anniversary, and thank you so much for all your hard work across the years! Hi Nami! I filled out the survey – hope it will be of some help : ) All the best for the week ahead! Thanks for all teh great recipes so far! Did the survey! thanks for being interested in our opinion! Thank you for all that you do. I love the way you present your recipes with detailed instructions, suggestions, and lovely pictures. Your new website looks wonderful. …Now, survey! Thanks for such great and easy recipes! I just moved to Japan six months ago to work as an English teacher, so everything on your site is so much more helpful to me than any other! Great work JOC Folks, I crave these recepies all the time and absolutely adore the video editting and content of this site. It’s been so fun working through the delicious recipes on your blog. Thanks for all of the work you put in, it’s a delight to be able to make tasty Japanese dishes at home here in the US. Happy New Year and all the best to you and your family in 2019! I made some of your Oshogatsu dishes and they were delicious! Congratulations! Been following your blog for many years, and it’s always a joy to watch your recipe videos. I used to work in Japan and ate a lot of Japanese food- making it is another thing altogether, though. It is wonderful to learn from you to make it ( from scratch). Looking forward to many more years of JOC! Wow! Thank you for your recipes!! Longtime subscriber here, hope to win this time! I’ve been subscribed to the newsletter for years, and never stop loving your recipes! Besides, you’re part of my English self-study program hahahaha (your knowledge of culinary vocables is quite impressive!). And here it is the second entry. I liked the survey, short and focusing on the important stuff with sharp options. When you’ll start reading them, I’m the sandwich guy! Love the blog! My go to resource for Japanese cooking. I love the explanation behind things and suggestions for adjusting dishes for spiciness and available ingredients. Here’s to another 8 years! Happy Anniversary! 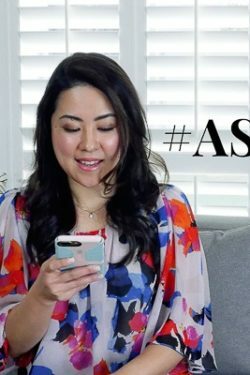 I love your blog, emails and the fact that I am learning a little Japanese ! Here’s to the next eight year Nami! Already subscribed! If I’m correct I’ve been around from the very begining! Great to see all your hard work pays off, and love the recipes! Happy birthday JOC and thank you for all your work and yummy videos! Cant believe I have gone so long without having visited your website! Your website is really well done! Looking forward to many a tasty meal. Thank you for providing a wonderful service to Japanese cuisine/culure/travel fans everywhere. Subscribed a long while back. LOVE this site! Thanks! Just subscribed, I’m in love with your well detailed and easy to follow recipes! Just took the survey, too. Thanks for all recipes. LOVE them. Love your recipes! Your miso ramen is my staple for making ramen. All my friends and family love it! Congratulation on 8 years birthday of JOC blog. I really enjoy your recipe of Japanese food and your perfect teaching film on YouTube. I think that you have done same great thing like the famous chef Julia Child brought the French Food to United States in English. Wait for your new updating. Go! Go! Go!